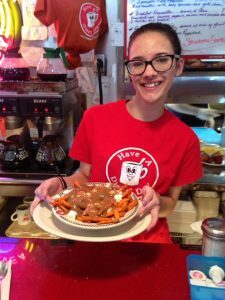 Description of Poutine: Large portions of fan-favorite diner fries, covered in their signature brown gravy, cheese and varied other toppings. 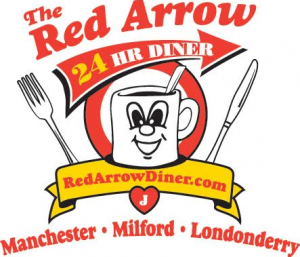 Restaurant Background: The Red Arrow has been a fixture in the Manchester community for what seems like forever and is rapidly expanding into other communities as well. A favorite destination of politicians and celebrities, its focus on a classic, quality diner experience has brought it numerous recognitions, including selection as 2016 Best Diner and Best Breakfast by NH Magazine. Poutine Uniqueness: Although classic poutine is a recent addition to the menu, you can “make it your own” with many ingredients, including eggs, steak and sausage. The poutine pictured is even more unique with sweet potato fries! 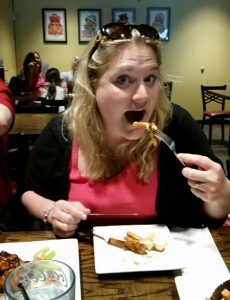 Create your own poutine adventure! 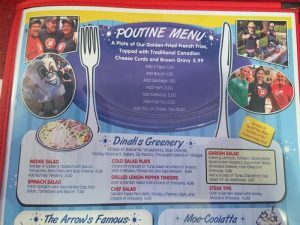 Best Thing to Have with Poutine: We love that they put the poutine menu right above the salads, so you can pretend you’re checking out the healthy options. While their salads are impressive, most people would accompany poutine with their famous coffee and a piece of their amazing pies. Maybe take the pie home for later! Description of Poutine: The fries are tossed in a mixture of herbs and parmesan, then topped with cheddar cheese curds and gravy. The peppercorns give the gravy a nice kick. Right before serving, it’s lightly spritzed with white truffle oil. Heaven on a plate! Restaurant Background: The owners are both from Canada, where they were enjoyed poutine so much that they brought it stateside. 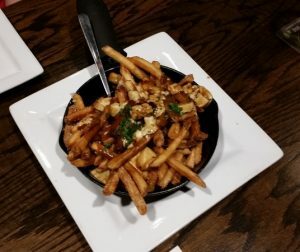 Poutine Uniqueness: The Taphouse is very particular about the cheese curds – they want to make it as authentic to the original as possible! 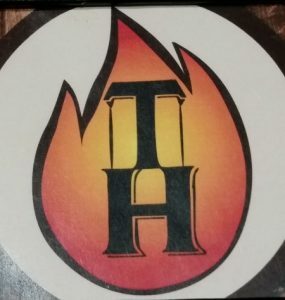 If New England Taphouse’s poutine is as good as their steak tips it will be awesome!